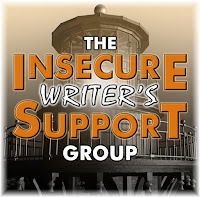 Jan Morrison: The Insecure Writer's Support Group Meeting is in session. The Insecure Writer's Support Group Meeting is in session. IWSG - please go to this link to read other posts by writers or to join the group! Good morning everyone! How are you? 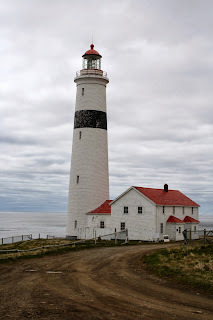 Here is a photo of the Point Amour lighthouse, the tallest in Atlantic Canada. It is on the south coast of Labrador and the fella and I saw it a couple of years ago when we took that route home. Perhaps you are headed directly into uncharted waters. You might crash on the rocks that surround Bay d'Espoir (really - Bay Despair - on the northern coast of Newfoundland). But wait! You see the light glimmering through the fog and waves. You hear the deep baritone of its foghorn. The lighthouse helps guide you through treacherous waters. How does the group act as a lighthouse? Well, it is made up of many people who have different abilities on the writing front. Some of them are published authors, some are just starting out and many are in-between. ALL OF THEM are willing to extend a hand, point a way out of whatever fix you've found yourself in,and mostly to just listen, nod, and tell you to keep sailing. I'm feeling very hopeful right now. No - not about the state of the world, but writing for me even helps that - but about my writing practice. I'm taking two days off this week so I can spend four days working on my current project. In the weird way that I work I guess I'm on both a second or third draft and figuring out the ending. Yes! I have to go back and back and keep approaching the ending until it becomes clear to me. This is a mystery so that is kind of important! I have all the components - now I must put them down in a narrative that holds the conclusion. Fun! I know if I get stuck and down on myself that I have a community that has my back and that is gold! So - I wish everyone sunny skies and calm waters - but if you hit a squall let me know. I'll be there - shining my little light. I just love this analogy, Jan! We all need beacons and guides. And there's nothing better than the support of people who 'get it.' Thanks for this. Thanks Margot! You are such a pal! It even looks like our lighthouse. Cool that you'll have four days to iron out that ending. It will happen! What a LOVELY post! The analogy works perfectly, and you brought it life, and tied it all together beautifully in the end. If your "other" writing is anywhere near as good as this post, you've GOT it, girl! Count me in as your newest groupie.